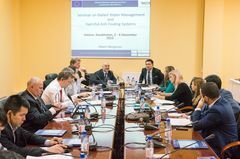 The European Union (EU) funded TRACECA Maritime Safety and Security II Project within its activities 4 organized a workshop on Anti Fouling Systems / Ballast water management. 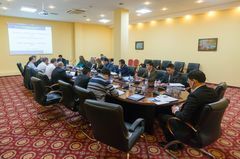 This workshop was organized in Astana, Kazakhstan, from Wednesday 2 December to Friday 4 December 2016. 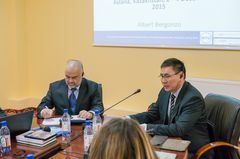 The workshop allowed to stock of the level of implementation of the AFS Convention, in particular, with respect to the survey and inspection procedures adopted by the Black and Caspian coastal States, and to exchange views regarding the best practices with regard to these surveys and inspections. The seminar on the AFS Convention was delivered together with the regional Consolidation and Implementation Training Course on the Ballast Water Management (BWM) Convention, 2004 (aiming to promote awareness in the Region and to support preparatory steps of implementation).